NOVA's new lightweight EN B-wing, the MENTOR 3 LIGHT is now in production. The new wing is a lightweight design but fully suitable for everyday use. It's NOT an ultra-lightweight, made of fragile construction exclusively for Hike & Fly. Almost all significant constructive parameters are identical to the standard Mentor 3 - as are performance, handling and safety. However, it weighs considerably less. 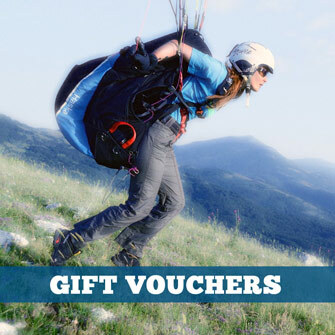 Flybubble News: Active Flying, Gear Reviews and Christmas Deals! Read all about it. What does ‘active flying’ mean? At its simplest, it means to react quickly to the movements of the wing, to calm it down. 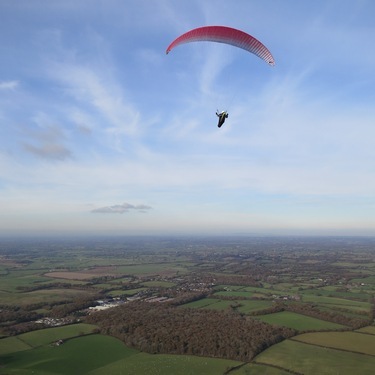 You are trying to return the wing to its most stable flying position – directly overhead. In the first video, we cover the basics and how to practice your active flying input. What does 'active flying' mean? At its simplest, it means to react quickly to the movements of the wing, to calm it down. We discuss how to master this vital skill. Since we were running 2 weeks of Flybubble XC trips in Spain anyway, this seemed like the perfect opportunity for me to get to know the new Oudie 3 all-in-one free flight instrument from Naviter. Naviter claim that the Oudie 3 is easy to use, requires no installation and works right out of the box. Naviter claim that the Oudie 3 is easy to use, requires no installation and works right out of the box. Too good to be true? We investigate the capabilities of the new all-in-one free flight instrument from Naviter. Syride demos available at Flybubble! 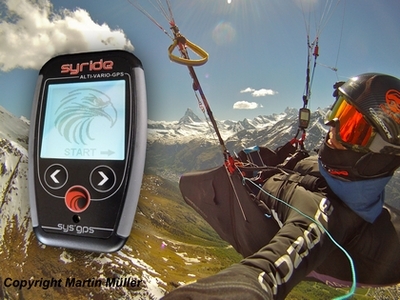 What are the latest ultra-lightweight flight instruments from Syride really like? Find out for yourself! We have demos of the new Syride Sys'Alti and Syride Sys'GPS available exclusively to Flybubble customers. SYS'GPS is one of Syride's latest ultra-lightweight flight instruments. It's an Alti-Vario-GPS with G-meter which includes latest technologies, unique features and a large fully customizable backlit screen thanks to Syride's Screen Configuration Tool (SSC Tool). Live a new experience with SYS'GPS; its simplicity, light weight and features make this instrument a reference in free flight! New World Record to declared Goal: 423.5km! 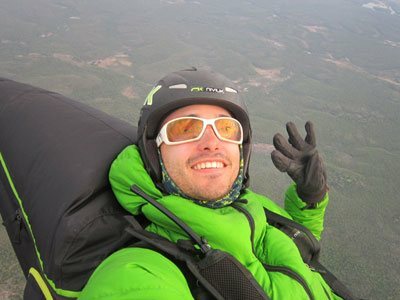 Latest news from Quixada (Brazil), where the Abac Team pilot Honorin Hamard set the new Straight Distance World Record to a Declared Goal flying 423.5km on his Niviuk Icepeak 6. After some amazing flights during the last few weeks in the area, Honorin finally broke the previous mark of 420.30 km established in October 2012.